also occur. Below 124.5 nm (to 500 nm), minor products are excited H atoms and OH+ ions in addition to the products from reactions (5-66), (5-67), (5-68), and (5-69). Since water does not absorb dissociating radiation above 186 nm, it will not be photodissociated in the troposphere, which is protected from the high-energy photons by oxygen and the stratospheric ozone layer. 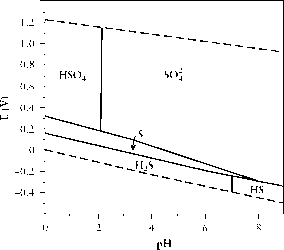 Photodissociation does occur in the mesosphere and in the upper stratosphere as a result of partial transmission through the UV window (Figure 5-7). Absorption of nondissociating infrared radiation by water in the troposphere is of course an important contributor to the greenhouse effect (Section 3.1.2).